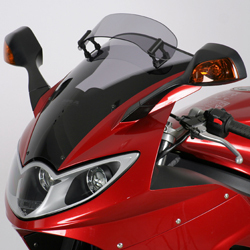 Please note: Depending on the year of your bike, you may find your original Triumph screen has only two screws on its rear edge which - in conjunction with moulded plastic hooks on its underside - locate it into your bike's fairing. This MRA screen is supplied with six matching new screws and four rubber "Well Nuts" (which fit into the four holes which will be revealed in your bike's fairing when the original screen is removed) to locate it securely and neatly. 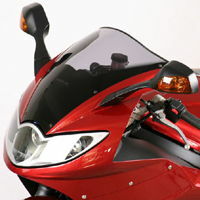 !quote, 45637, 4025066100347, 1050ST, windshields, wind, shields, motorcycle, vision, doublebubble, screens, dubble, gray, tinted, race, racing, double bubble 05, 06, 07, 08, 09, 10, 2005, 2006, 2007, 2008, 2009, 2010!